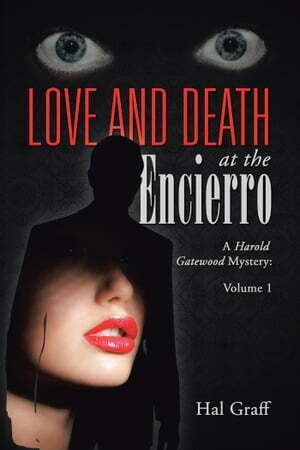 Collins Booksellers - Love and Death at the Encierro by Hal Graff, 9781491799727. Buy this book online. Harold Gatewood has always been a determined man. But now after a successful nine-year professional baseball career, he is injured and at the crossroads of his life. Focused on making a comeback, Harold dutifully follows doctors’ orders to rest and heads to the Festival of San Toro de Lidia in Spain to satisfy a lifelong goal. Unfortunately, Harold has no idea of the danger that is waiting for him. Soon Harold is caught up in the excitement and pageantry of the festival. Even when his hotel room is ransacked, Harold is not deterred from having fun. But while love blossoms with a beautiful model with a mysterious past and a dangerous present, a sociopathic serial killer begins taking victims. As Harold is unwittingly thrust into a murder investigation, he must face threats from his female companion’s former lover and battle with an international terrorist organization determined to carry out a lethal operation. But as Harold is led down a perilous path where a revelation awaits, he discovers that life—like his baseball career—will never be the same again. In this mystery novel, a washed-up baseball player heads to Spain to watch a famous festival where he nds love, becomes immersed in a murder investigation, and heads in an unexpected direction.